as they head out on spring migration in 2012. 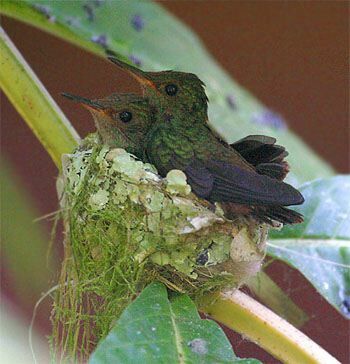 Based upon 11 very successful expeditions in 2004-2011, Hilton Pond Center for Piedmont Natural History--in conjunction with Holbrook Travel--is again offering an exciting and educational field trip in February 2012 to study Ruby-throated Hummingbirds on their wintering grounds in Costa Rica. Plus, we're goping back to Belize! Join us this year as we "Follow the Hummingbirds North" in spring migration. Ruby-throated Hummingbirds, Archilochus colubris--which occur in 38 U.S. states and across southern Canada from March through October--are the most widely distributed hummingbird species. 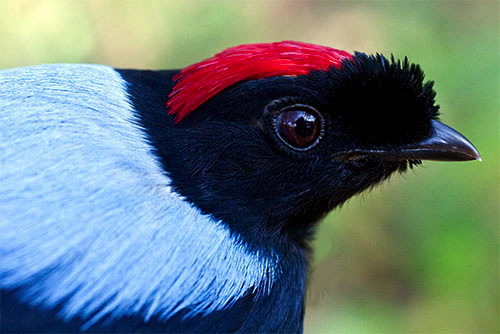 Nonetheless, they are poorly studied in Mexico and Central America where they spend their non-breeding months. 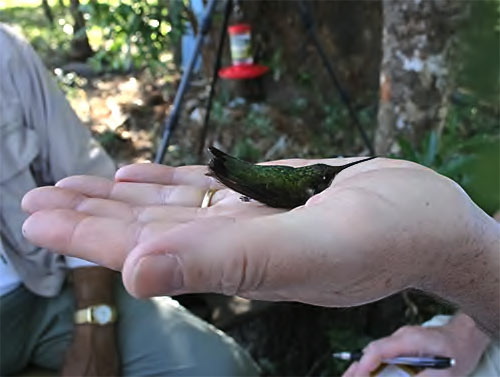 During our nine-day field trip in 2012 to Guanacaste Province in northwestern Costa Rica, Center director Bill Hilton Jr. will teach participants how hummingbirds are observed, captured, banded, and released. 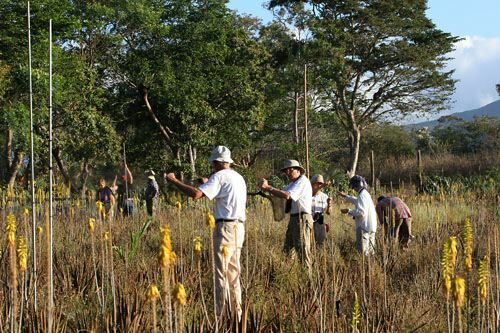 As "citizen scientists," participants will play integral roles in conducting field work, will visit diverse habitats, and will learn about fascinating aspects of Costa Rican natural history and culture--from volcanoes to Pacific coastal ecosystems, from coatimundis to tropical butterflies. 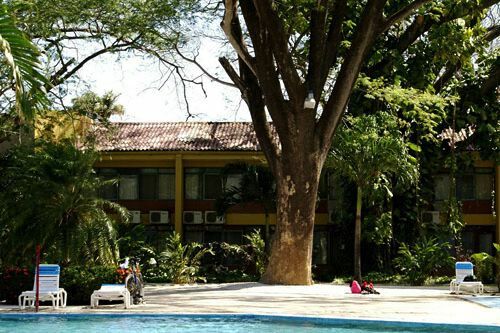 The nine-day Costa Rica expedition will be based at El Sitio Best Western Hotel (above), near the heart of the provincial capital of Liberia. (NOTE: In previous years we stayed at a lodge halfway up a volcano but opted for a modern hotel more centrally located to our field sites that does not require a one-hour bus ride each morning and again before lunch.) El Sitio is used by international tour companies because of its accommodations, food, and proximity to outstanding Costa Rican nature locales. Modern rooms are comfotable with air conditioning and ceiling fan, private bath with hot and cold running water, clean towels daily, and single and/or double beds; there is a fitness room and outdoor unheated pool. The dining room offers fresh fruit, meats, and vegetables at every meal. An inner courtyard has many large trees--one of which held the active nest of a Green-breasted Mango Hummingbird in 2008--and the hotel property adjoins a small wetland where egrets, Northern Jaçanas, and other birds can be observed. The hotel is within walking distance of Liberia's shops and restaurants. Transportation to our field sites is via air-conditioned tour bus. 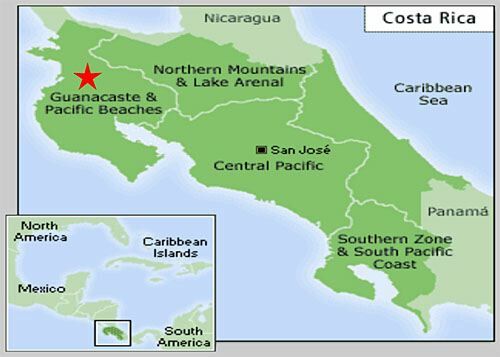 Guanacaste Province, in northwestern Costa Rica (red star on map above), borders Nicaragua. 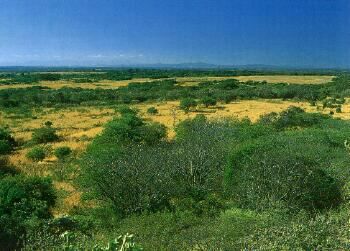 Unlike the Caribbean side of the Costa Rica, the west coast is drier; rather than tropical rain forests, Guanacaste has tropical DRY forests--some of which are evergreen--and there are expanses of grassland that even today are used by cattle and horse ranchers. 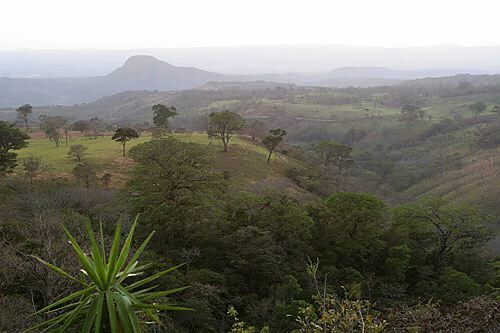 Some ecologists liken the terrain, climate, and vegetative structure of Guanacaste to that of West Texas in the United States--except there are several active volcanoes overlooking pristine Pacific beaches in Guanacaste! El Sitio Best Western Hotel in Liberia (see map above) is at about 600-foot elevation. Daytime temperatures are typically in the 80s or low 90s; nights are 10-15 degrees cooler and occasionally bring windy conditions. Nearby study sites where we spend mornings catching and observing hummingbirds are almost always sunny, although some days may be partly overcast. It does not rain in Liberia during January-February. Field temperatures go from mid-70s at 6:30 a.m. to 90 at about 11:30 a.m. when we usually quit for the day. 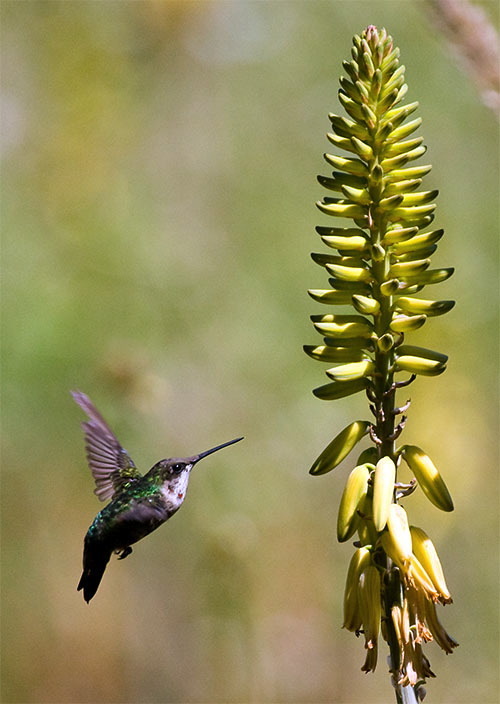 The trip is open to ANY adult interested in studying and reporting observations of hummingbirds in Costa Rica (and--after the trip--in the the rest of Central America, Mexico, Canada, and/or the U.S.). You do NOT have to be an experienced birder or scientist or have advanced training; we will teach you everything you need to know to participate in the project. Because making you a hummingbird bander is NOT the purpose of this particular trip, you will not actually be banding birds or removing them from nets. However, you WILL be involved in every other way: Handling and releasing multiple hummers (above) and other colorful tropical birds, deploying mist nets and traps, collecting and recording data, making valuable field observations, photographing flora and fauna, etc. You will NOT be disappointed! After reading the day-to-day itinerary and requirements below, please contact Debbie Sturdivant at Holbrook Travel (1-866-748-6146) if you have any questions and/or to request enrollment forms. Register early to guarantee you can participate! 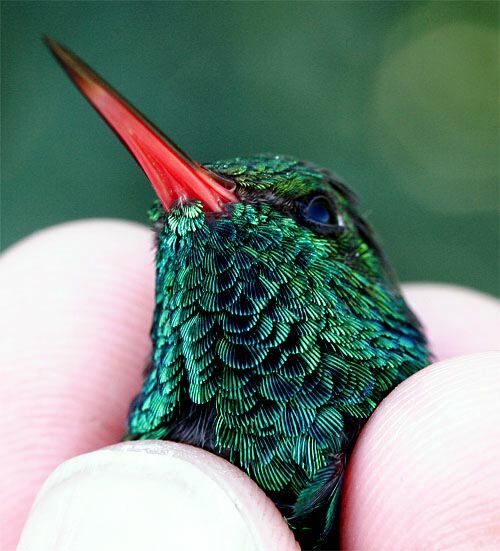 Costa Rica hosts to up to 54 hummingbird species (Trochilidae). In addition to banding Ruby-throated Hummingbirds during our previous expeditions to Guanacaste Province, we've also captured the following seven non-migratory hummer species: Canivet's Emerald (formerly Fork-tailed, male above), Cinnamon Hummingbird, Steely-vented Hummingbird, Green-breasted Mango, Rufous-tailed Hummingbird, Blue-throated Goldentail, and the noticeably long-billed Plain-capped Starthroat (below). 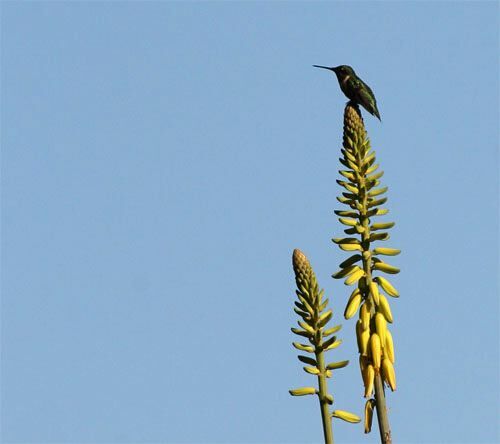 The only likely Guanacaste low-altitude species we've missed are Stripe-throated Hermit and Scaly-breasted Hummingbird. Early Afternoon: Arrive Liberia International Airport, greeted by local personnel; lunch at nearby open-air restaurant. Transported by air-conditioned tour bus to El Sitio Best Western Hotel on the outskirts of Liberia (central plaza, above), our home base for the week. Evening: Introductions & Overview of Operation RubyThroat and methodologies to be used while monitoring, capturing & banding Ruby-throated Hummingbirds, Archilochus colubris. Lunch: Back at El Sitio (occurs daily, unless otherwise noted). Afternoon Free Time: Explore Liberia or El Sitio grounds on your own; great chances for observations and photos of local culture, flora, and fauna. Siesta and/or dip in the pool (optional). Some afternoons we may take short bus trips to a nearby nature locale; there will also be two half-day field trips (see below) and one all-day trip. Late Afternoon: Gather to watch sunset (occurs daily, unless otherwise noted). Supper: At El Sitio (occurs daily, unless otherwise noted). Early Morning: Day Two of hummingbird observations and banding at study site(s). Afternoon Free Time: Explore on your own. Look for nest, including those of Rufous-tailed Hummingbirds (above). Late Afternoon: Gather to watch sunset. Evening: Continuation of Operation RubyThroat discussions. Informal presentations and introduction to Costa Rican culture. Early Morning: Day Three of hummingbird observations and banding at study site(s). Late Morning/Afternoon: Field trip to and box lunch at Santa Rosa National Park. Created to preserve the field where a decisive battle was fought, Santa Rosa is also a naturalist's wonder. 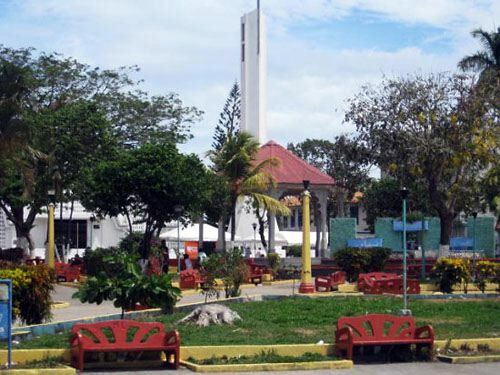 The park, covered with trails, encompasses almost all habitats of the region, from deciduous tropical hardwood forests to dry mountain regions with cacti to mangrove swamp estuaries near the beach. Excellent opportunities for wildlife observation and photography exist during the dry season, due to concentrations of animals at water holes and beaches. 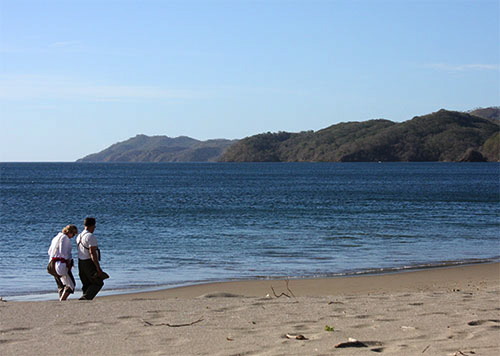 Visit Junquillal Beach for introduction to tropical coastal ecosystems. Swim in Pacific Ocean (optional). Late Afternoon: Gather for sunset at an unusual locale. Evening: Continuation of Operation RubyThroat discussions. Informal presentations. 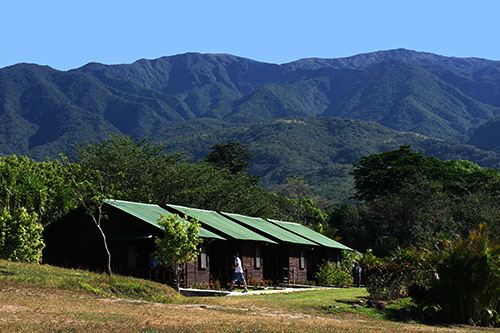 All Day: Field trip to Buena Vista Lodge on Rincon de la Vieja Volcano. Lunch & supper in a restored dining hall once used by cattle ranchers. Explore miles of nature trails with colorful orchids and great birds and other wildlife. Optional opportunities for canopy tour, water slide in the forest, horseback riding, visit to volcanic spa, etc. 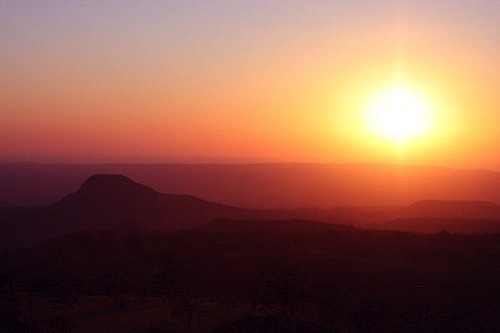 Watch sunset from a mirador overlooking the Pacific Ocean in the distance. Afternoon Free Time: Explore on your own. Early Morning: Day Five of hummingbird observations and banding at study site(s). Early Morning: Day Six of hummingbird observations and banding at study site(s). Afternoon: Field trip to local shrimp farms. 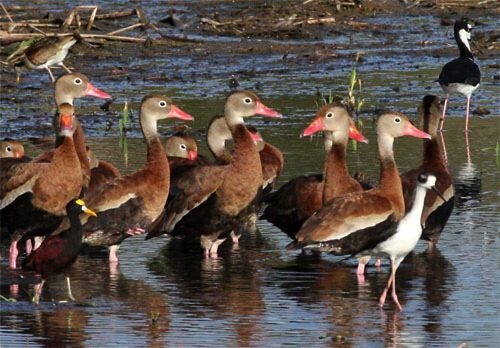 During the dry season, waters recede and concentrate large numbers of wading birds and waterfowl (including Northrn Jaçanas, Black-necked Stilts, and flocks of Black-bellied Whistling Ducks, above). Evening: Final analysis of hummingbird data & "Farewell Fiesta." Begin packing for next day's departure. Morning: Final reading of the Checklist of Birds. Depart via bus for Liberia airport and flights home (hugs optional but likely among new friends). Evening: Dream in your own hometown bed about hummingbirds and warm, sunny Costa Rica! VERY IMPORTANT NOTE: The main purpose of any Operation RubyThroat expedition to the Neotropics is to learn about Ruby-throated Hummingbird "winter" behavior; thus, your active participation in making daily observations and collecting data is critical to the trip's success. A working pair of good binoculars is the only required equipment. We expect you to take initiative, carry your share of the load, and listen to and follow instructions carefully. 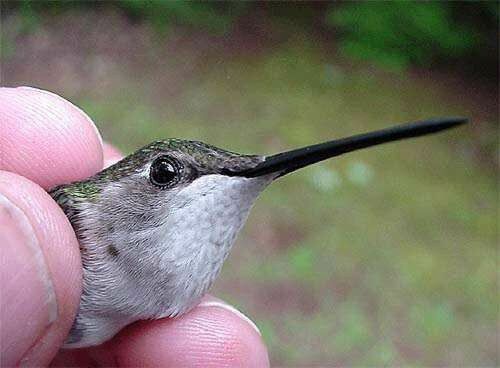 We also expect you to look out for each other's needs and to be considerate of the hummingbirds we work with. We will have many wonderful and enjoyable experiences together, but this is NOT a pleasure trip--even though you'll have plenty of free time and are certain to have fun. If you are NOT willing to work hard in the field all week and follow the expedition's research and education goals, this is not a trip for you; we NEED your help our success will depend on you. Most days involve early through late-morning field activity under warm to hot conditions and after-supper meetings, with afternoons open for you to do as you wish. Scheduled activities are subject to change due to weather or to take advantage of unexpected learning and research opportunities, but we'll do everything we can to make sure we offer all non-research activities described above. BILL HILTON JR. (below left), internationally known educator-naturalist, was twice named South Carolina Science Teacher of the Year and was honored as the state's Outstanding Biology Teacher. In 1998, The Charlotte Observer named him a Carolinas "Guardian of the Environment" for a lifetime of trend-setting work in conservation and environmental education. 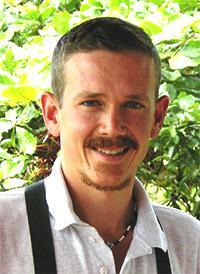 He has led 11 highly successful hummingbird expeditions to Costa Rica, two to Belize, and one to Guatemala. The December 2008 issue of Discover magazine cited Hilton as one of the top ten amateur scientists in America and one of the nation's "50 Best Brains in Science." Hilton is executive director of Hilton Pond Center for Piedmont Natural History. 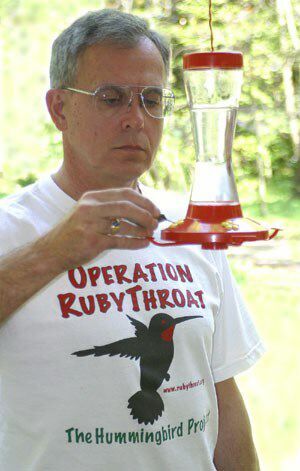 As principal investigator for "Operation RubyThroat: The Hummingbird Project," he received a 42-month grant from the National Science Foundation to integrate Operation RubyThroat with The GLOBE Program. Since 1982, Hilton has banded more than 56,000 birds at Hilton Pond, including 4,000-plus Ruby-throated Hummingbirds. Hilton taught in Rock Hill and Fort Mill SC high schools, and at the University of Minnesota, St. Olaf College, and Winthrop University. He helped start the residential South Carolina Governor’s School for Science and Mathematics in Hartsville, which he served as biology instructor and director of student research. Hilton is a nationally sought-after speaker on diverse natural history topics. He has a Bachelor of Arts in Philosophy from Newberry College, which he served as president of the Alumni Association. In this role, he organized a major international symposium on John Bachman, founder of Newberry College and a contemporary of John James Audubon. 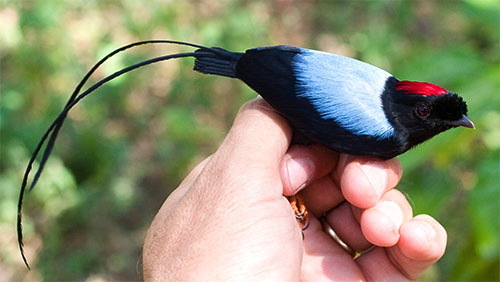 Hilton earned a Master of Arts in Biology Teaching from Winthrop University, and a Master of Science in Ecology & Behavioral Biology from the University of Minnesota, where he conducted a four-year field study of the behavioral ecology of Blue Jays, Cyanocitta cristata. For a complete resume, see his Biographical Sketch. Hilton and the group will be assisted by ERNESTO M. CARMAN JR. of Talamanca Hawkwatch and Programa Conservacion de Aves. 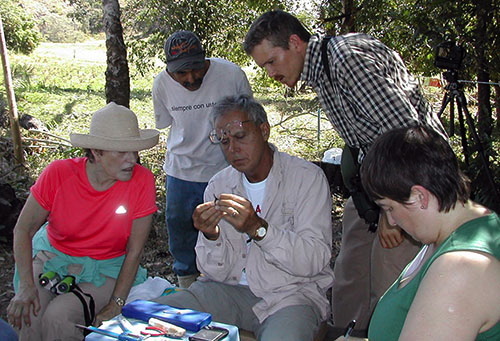 Ernesto (at right), a native-born Costa Rican (tico), speaks fluent English and Spanish, and is one of only a few naturalists with extensive experience observing Ruby-throated Hummingbirds within Costa Rica. Ernesto's sharp eyes and ears, comprehensive knowledge, and terrific personality greatly enrich our time in the field. After six years of involvement with the project he is a true collaborator and not just an in-country guide. Ernesto's family runs Finca Cristina, an environmentally friendly coffee farm that uses shade-grown organic techniques and recycles processing materials. 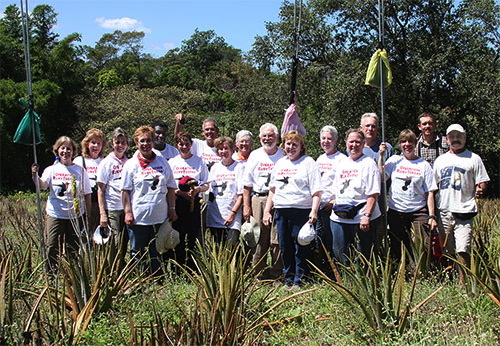 NOTE: Alumni of any Holbrook Professional Development Expedition--including past Operation RubyThroat trips to Costa Rica, Guatemala & Belize--are eligible for discounts on 2012 Operation RubyThroat excursions. 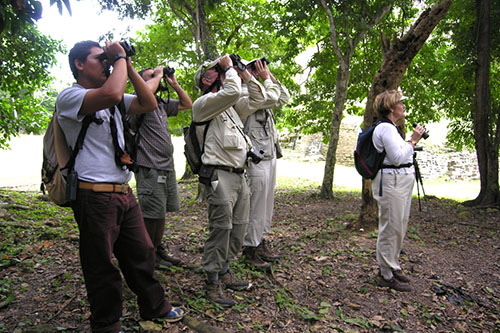 --Each participant must: Bring and know how to use a decent pair of binoculars with which to make field observations. Sharing binoculars doesn't work. --Participants must be: In good physical & mental health and able to walk at moderate pace for short distances (usually less than a half mile) over mostly level but sometimes rocky terrain at the study site, and be able to carry light objects in the field (mist net poles, banding tools, day pack, etc.). 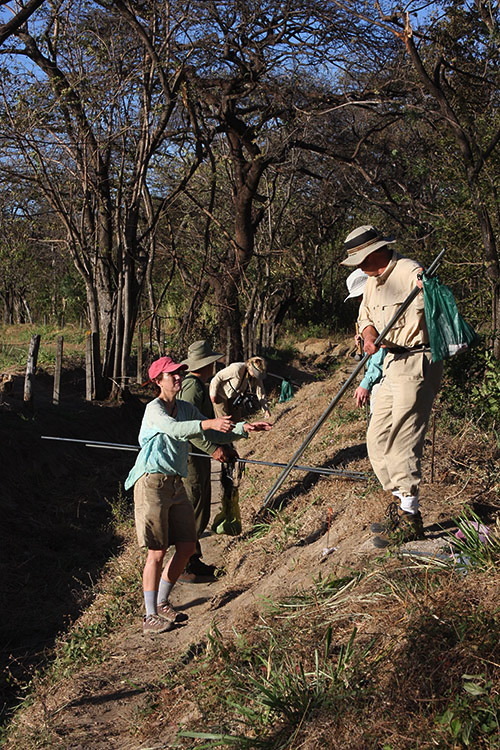 Participants may need to stand for extended periods (up to 60 minutes) to monitor nets under sunny conditions, with opportunities for water breaks in the shade. On past expeditions, participants as old as 80 have had no problems with physical demands of the project. 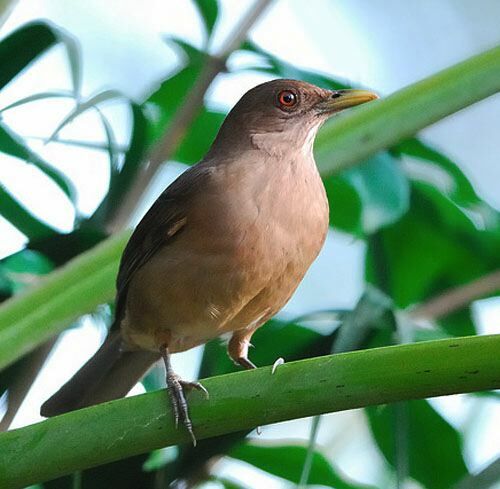 --Program cost includes: All in-country transportation, accommodations, meals, expert local guide (bilingual), learning activities and field trips, and Operation RubyThroat instructional materials, as stated above. --Pre-trip activities: We will communicate with you frequently via e-mail in the weeks leading up to your trip. You'll also receive suggested readings and resources that will enhance your trip experience. We anticipate you will study and learn all important information related to the trip's research goals. --Optional graduate credit: Contact Holbrook Travel's Debbie Sturdivant for information about how to apply and pay for graduate credit through Weber State University. You may also elect to work with your local college to earn credit there. K-12 educators may file for continuing education credits. 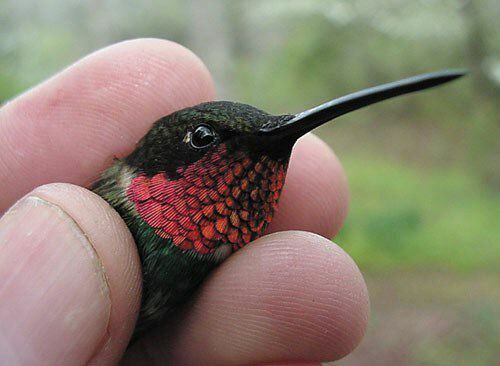 Hilton Pond Center for Piedmont Natural History and Operation RubyThroat: The Hummingbird Project expeditions are non-profit trips offered as outreach activities through which we learn more about winter behavior of Ruby-throated Hummingbirds. If you're interested in making a separate contribution to the Center and/or Operation RubyThroat, please see Supporting the Work of Hilton Pond Center. After reading the information above, contact Debbie Sturdivant at Holbrook Travel by E-mail or phone (1-866-748-6146) if you have any questions about enrolling and/or to request enrollment forms. 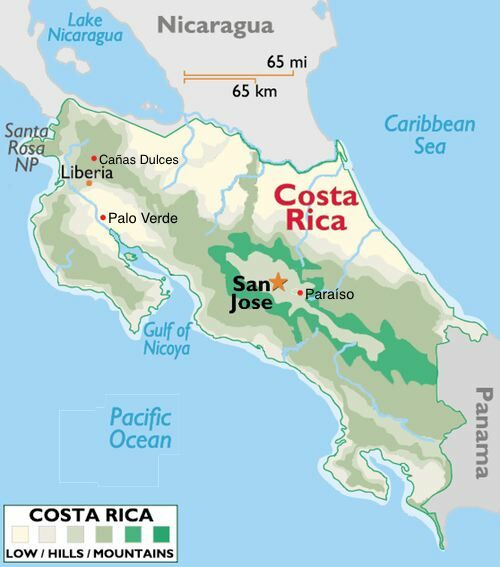 You can also ENROLL ON-LINE for Costa Rica 2012. A first for hummingbird banders! One of our ruby-throats captured in January 2008 in Costa Rica was encountered five months later in Baxley, Georgia USA! Click on the links below for details & costs for upcoming Operation RubyThroat hummingbird expeditions. The following link is required by a Web site that provides us with a free page counter.